So, I was fortunate enough to get some crates during the holiday season. Part of the plan for the gold received was to expand hanger space on a bi-weekly basis. Sometimes there area deals, most times there aren't but long story short. I purchased a hanger slot every other week with the gold I received from the crates. 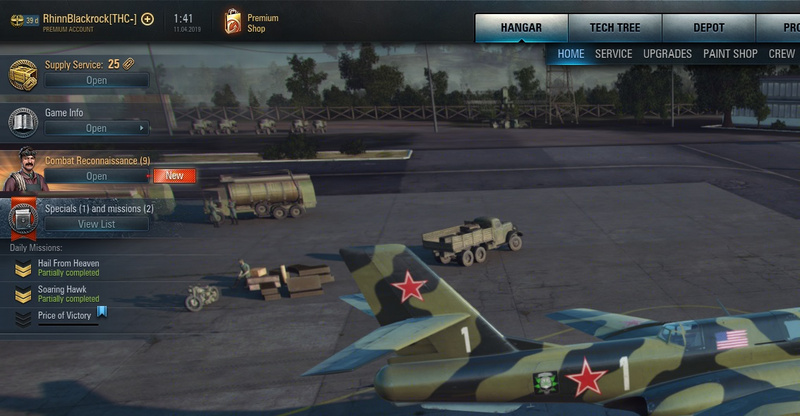 In coming back, I'm still in the habit of checking the "purchase slot" in the hanger. I don't use the launcher, I don't always check game updates, etc. When I hit "Purchase Slot" with my planes filtered to tierX, the token and gold cost was zero. So, hmmmmm. Too good to be true so screenshot. In my WG experience, if that's a display bug I guess I would rather lose tokens than the little gold I have remaining. Low and behold, it was too good to be true. 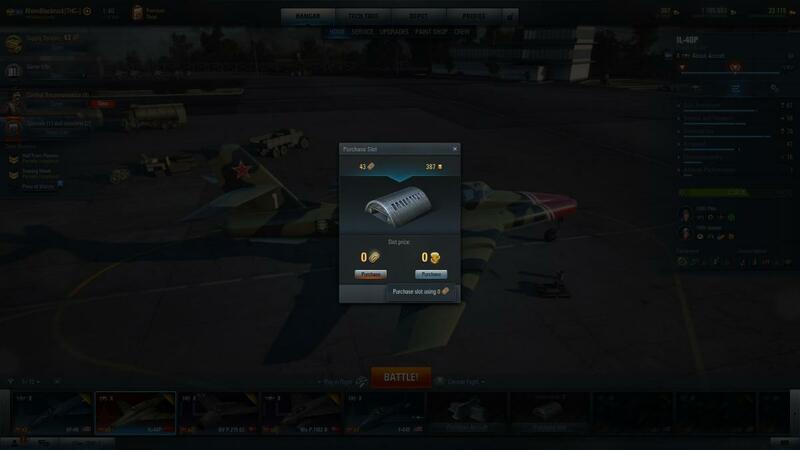 After hitting the purchase slot for 0 tokens, I had 18 tokens removed and a hanger slot added. C'mon guys. You're interface dev misses things like open/close quotes on a regular basis and now I'm either out of 18 tokens(that I dont care to make up) or someone on the staff has to go through a process they really, probably shouldn't over something silly. Edited by RhinnBlackrock, 11 April 2019 - 05:57 AM. This problem is in all WoWP regions and has been reported. Open a ticket with WG support to add value for the problem. I've reported this issue but that's all I can do for you here on forum. For any compensation question it is always worth contacting Customer Support.